847.945.4575 847.945.4593 fax Get Directions This location is wheelchair accessible. *Dr. Belinda Chen has been our pediatrician since our children were born fifteen years ago. She is phenomenal and a great listener. I have paid higher insurance rates to keep her. Love Dr. Wiemer!! She is a professional, very easy to talk to, great rapport with the kids and thorough. So glad she is our kids pediatrician. She is an excellent listener, and i have full confidence in her. 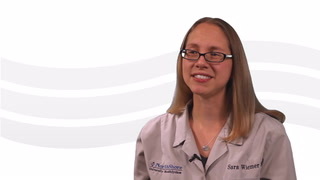 *Dr. Sara has done an amazing job in establishing a relationship with our family. When I make an appointment, I feel like I can ask her any questions and still explain very thoroughly. She even asks our updates via Northshore Connect. She really cares! Really like our son's dr.! *Dr. Wiemer is the best! Both of our kids love seeing her and she has always been so helpful! We'd never go anywhere - else!